What are Miter Saws and Are They Any Good? Sliding Compound Miter Saws and Other Types! Types of Cross Cuts & Miter Saw Blades? Which Other Features Are Important In Miter Saws? Miter saws have become a tool of preference for intermediate to professional level woodworkers. Amateurs and DIY enthusiasts normally don’t buy them because they’re a little skeptic of their own skill level. However, I have found miter saws to be more user centric and an easy-to-tame product if you have spent enough time with them. With the amount of features and a super convenient flow these products offer, you wouldn’t want to go back to using table saws or circular saws anymore. The mere possibility of sliding the blade head over the cut material is a lot more convenient than having to push the mats through the stationary blade. However, the only dilemma is not only buying the right miter saw, but making sure that it is coming from a trusted brand. Contractors can’t risk buying the wrong power tool. Given that they are in a business with day to day wood working/ on site orders, these guys usually depend on one type of power tool. 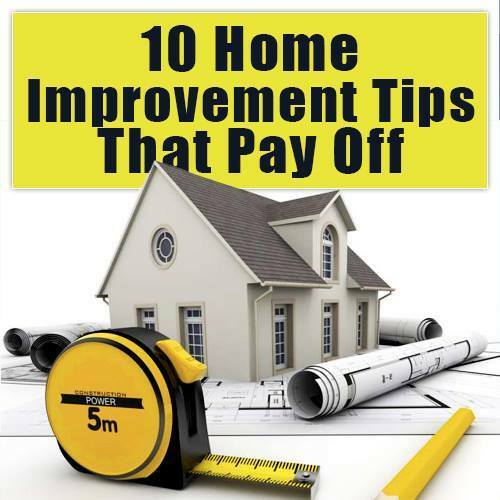 However, it is true that a professional contractor might want to switch over to a miter saw or a radial saw if he knew a thing or two about how to use them, or buy them. In fact, usage does not even matter; it all comes down to buying the right miter saw. Since there are so many companies out there in the open market, and tons of miter saw categories to follow, it is not a matter of few days’ decision to buy something on impulse. If you are someone who wants to switch over to a better cutting tool, or maybe you are thinking of transitioning from table saws to miter saws for the first time, this little guide is for you. On the other hand, if you are a professional, then you might as well just scroll through our miter saw reviews at Power Tool Buzz website. We handpicked a number of decent products that we have complete faith in. Or perhaps, if you have a better model, you can share your thoughts in the comments section below. Take them as bench saws; they sit on top of a solid structure, with or without a sliding blade arm. That’s the short and fine print about miter saws, but there’s a lot more to it. Likewise, the so-called miter saw models come in a wide range of capabilities that fill the cracks. To further reiterate the definition of miter saws, I’ll also go on to say that they have an enhanced ability of helping users to make bevel cuts, crown cuts, crosscuts – so on and so forth. The easiest way to use a miter saw would be by placing the work piece on the slab against the fence. The fence is there to make sure that the piece stays in place. Then either you move the blade via the sliding arm across the work piece, or you do it in a tilted motion. The cutting part depends entirely on the woodworker. Choosing a miter saw is not an easy endeavor because of the types, categories and brand involved in this scenario. The seemingly “tough” part comes when you have to choose between a compound miter saw, static miter saw or a sliding compound miter saw such as the Milwaukee 6955-20 . I have to admit it with all honesty, even I don’t consider myself an expert despite of using these bad boys for years now. For instance, due to certain requirements of a project, I might find it necessary to use a sliding compound miter saw. But then again, if a project doesn’t call for it, I might as well use a simple radial style stationary miter saw. By now, you probably don’t have an idea about miter saw types, but I will get to them later in this article. In summation, the types of miter saws are categorized and prioritized over one another by their ability to make crosscuts, bevel cuts and vice versa. A common misconception about buying miter saws is that one product is ultimately sufficient to fulfill a wide range of woodworking project requirements. Now here’s an interesting bit which affects precision of cuts exponentially. It is called laser LED projections; they are cast in a single file beam on the workpiece. The notion behind these LED’s in a miter saw is to assist users in making straight line perfect cuts. You can read more about LED lasers in my review of Ryobi 18-Volt ONE+ 7-1/4 in. Cordless Miter Saw - P551 review. In Ryobi’s case, the laser serves its purpose, but the miter saw does not make accurate cuts. The reason is alluded to the saw’s lightweight profile. It jitters and shakes a lot when woodworkers feed the work piece across the blade, which is why the purpose of laser is defeated. Moving on, Dewalt took the same concept and implemented the idea of casting shadow line on the workpiece. I wrote about it in my DEWALT DWS780 12-Inch sliding compound miter saw review. Basically, instead of a laser, the miter saw casts a fine line shadow on the work piece. It is an exceptional execution of a basic idea where users have appreciated Dewalt over Ryobi. The point I am trying to make is that the miter saw category, alone, doesn’t matter a lot. It is also a combination of features and their execution that makes cutting a pleasant experience. Another thing which I’d like to state is that these lasers have various qualities. Some are brightly lit, and can be seen while working outside, while others are dim. In latter case, you’d be restricted to using your miter saw in a garage or an indoor worksite. A compound miter saw is a stationary product tool; you cannot slide its arm or tilt it on both sides of the blade head. Tilting comes in when you want to make an angled cut, or a crown cut. However, before I talk about a sliding compound miter saw, I will say this that they are not entirely needed when you are looking to do simple woodworking tasks. Moving on, sliding compound miter saws are the cooler counterparts of stationary miter saws. This category comes with a swivel arm that pivots in different directions, and also slides back and forth in a straight line. Sliding compound miter saws have a high degree of ease-of-use because the woodworker is able to increase the length of the cut. The said woodworker can slide the blade head from back to forward or forward to backward motion on the work piece. 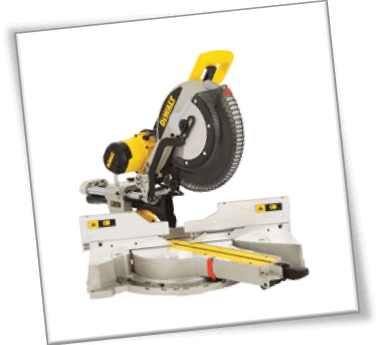 These types of miter saws are perfect for cutting lumber, thin masonry boards and entire logs. Yes! logs, too – in case you have a gigantic sliding compound miter saw at your disposal. The ones that are available for sale at Amazon are nothing when compared to industrial scale miter saws like Bosch GCM12SD. If I were to further shed some light on other categories, they’d include cabinet miter saws and vice versa. However, it would derail me off topic. The scope of miter saws at PowerToolBuzz is limited to in-house woodworking projects only. Eventually it comes down to choosing between stationary compound miter saw and sliding compound miter saw. As mentioned earlier, the sliding compound miter saw has the radial arm that enables the blade head to move to-and-fro, and also assists in tilting the blade head. Likewise, these miter saws have a blade diameter ranging over 16 inches, 10 inches, 12 inches and 20+ inches. This is to assist woodworkers at a bigger scale. A wise decision would be to invest in a sliding compound miter saw as you never know when you will need it. Although stationary compound miter saws are good, you will find their overall usefulness redundant over time. Your skill levels will advance, and so will the need for innovating. So, why not buy a sliding compound miter saw and call it a day? Before discussing about the variety of cuts you can make with a miter saw, let’s take a look at blades. As you already know, each miter saw comes with a circular blade. Some models that are tool-less, don’t have a blade and basic accessories – they have to be bought as an add-on product. However, in general cases, these blades determine how the neatness and precision of the cut. Literally, a closer look at blade tips and the distance between each curve reveals a lot about blade type. You can do a simple Google search on “Miter saw blades” to see what I am talking about. In fact, if you were to look into the Google images section for miter saw blades, you will find out that a mere positioning of the blade tip affects the category of the blade itself. There are rip blades, crosscut blades and etc. to help meet the project requirements. In summation, larger blades with a bigger diameter result in deeper cuts. These blades are backed up by a powerful motor and tend to have a lower RPM. The smaller blades have a higher RPM because they are lightweight as compared to the big ones. However, the point is that blade speed has to remain consistent – otherwise, a cut can’t be made with ease, or you are likely to burn the insides of the work piece as you go along. Miter saws with a blade diameter ranging between 10 – 12 inches are ideal for home based DIY woodworking projects. For instance, a 12-inch blade is good for crown cutting, but it is not entirely necessary to buy. You can get the same job done with a blade having a cumulative diameter of 8.5 inches. A lot of that “cutting” part actually depends on your skill level as a woodworker. In this realm, making a bevel cut is when you tilt the blade to the left or right side of the miter saw body. The “tilt” position makes a diagonal cut, or in other words, an angled/ beveled cut. These cuts are required when complex trimming is needed in a woodworking project. Straight Cuts – These are single line cuts and constitute the basic level woodworking regimen. 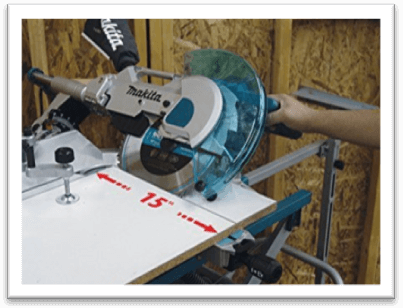 Miter saw owners can make straight cuts with the help of a basic miter saw. It doesn’t have to be a compound or a sliding compound unit. Miter Cuts – Yes, these cuts are based on the positioning of the miter scale. You need to rotate the dial with metered/ angle readings and then lock it in blade with the help of the miter index locker. Bevel Cuts – As already mentioned, these cuts are either mitered or beveled at the same time. They involve tilting of the blade head to assist woodworkers with advance level cutting. Now that you have a basic idea about miter saws, blade types and their categories, it is time to take a look at general buying tips. These tips will improve your experience of owning a miter saw in the long run. If you are an entry level woodworker, make sure you are buying a miter saw with lots of extra accessories. Hitachi C12RSH2 miter saw comes with a table and a stand, which is a good thing because you don’t have to buy a separate table anymore. Miter saws are usually heavy, and with a factory supplied stand, it gets easier to keep them steady. It is very important to keep an eye out for the blade size. As mentioned earlier, bigger blades lead to making deeper and longer cuts – but it also compromises precision to a certain degree. To remain on the safe side, you should use a miter saw with a 12 inch or lesser diameter blade like on the Makita LS1016L. This way, your cuts will be extremely neat and precise. Furthermore, the type of blade is also important. Carbide blades are expensive and extremely tough, but the major downside to owning them is that once they have bent out of shape, it requires a professional to do the repairing. On the contrary, steel, or carbide tipped miter saw blades are good. Other options involve selecting a miter saw with a laser LED projection guide feature, shadow cut guide feature – so on and so forth. These features enhance the overall ease of use factor. Do note that professionals don’t rely on lasers and such gimmicks to get by with their chores. Since they are seasoned miter saw users, they hardly need to rely on lasers etc. to get the job done. If you are considering buying a cordless miter saw, keep an eye out on average number of cuts and battery performance. These miter saws are light, which can cause the blade and the entire unit to jitter. This is not a good thing, when you especially need the miter saw itself to remain steady. Speaking of cordless miter saw batteries, they drain out rather quickly. Ryobi One+ miter saw fortunately comes with a combo pack of 2X 18V batteries that can be installed at the same time. However, Ryobi is not the only company to look for when buying cordless power tools. You should checkout other retailers’ inventory at your favorite ecommerce website, or the local vendors. These features are not absolutely important, but their presence or absence in a miter saw can affect performance. Positive Stops: Positive stops are the most common angles which miter saw owners use during bevel cuts. The stops are mentioned either on a rotatable scale, or a twistable knob at different readings, such as 45, 15, 22 and 30 degrees. Make sure that you have locked the miter saw in place after selecting the desired positive stop reading. Fence Type: Miter saw fences are ideally supposed to stay locked/ steady in place. However, some models come with sliding fences. Whatever your preference is, make sure that your miter saw’s fence has extremely high quality. Blade Removal: Although woodworkers don’t remove miter saw blades in frequency, it is still an unavoidable necessity. You should buy a miter saw which comes with easy blade change option. Since technology has evolved, changing blades on power tools doesn’t involve as many screws and wrenches as compared to their ancestor models. Ideally speaking, a miter saw should allow blade swap in one, or two steps. Of course, it is safety. Since a miter saw is a cutting tool, safety always comes first. Does your miter saw have electric brakes? Is there a circuit breaker, a motion stopper or a trip switch that automatically turns off the miter saw when it’s not in use. Likewise, don’t compromise on wearing safety gear. I know that the idea of sawdust powdered all over your face gives you a manly look, but hey, this is serious business. You may be scoring high on style points, but in case of an injury, miter saws are considered the most ruthless category of power tools – other than chainsaws and circular saws. Good luck with purchasing a suitable product. In case you are interested, don’t forget to read our miter saw reviews on our website. These reviews were written with an intent to arm first time online power tool enthusiasts with proper information. Sometimes they say, an informed decision is the best decision of all!